Tackle Fish: Asian Arowana, Symbol Of Elegant and high class hobby. 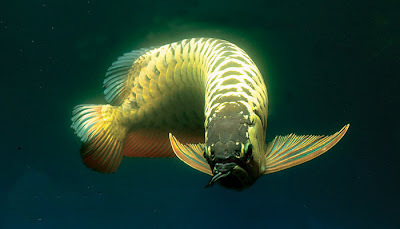 Asian Arowana or (Scleropages formosus) is one of the most favorite fish in the world. With a strong physical resistance, great price and lovers scattered everywhere, making arowana fish become legend, also known as the Asian Dragonfish, like all arowanas is a freshwater scaled fish. Common mispellings are Asian Arrowana or Asian Arawana. Often growing up to three feet in length, these fish can be both challenging and rewarding to the aquarium enthusiast. The availability of Asian Arowanas for sale varies from country to country, as will Asian Arowana prices. Check the arowana photo gallery for pictures of Asian Arownas. One major concern with buying arowanas is that not all arowanas can be purchased legally. Currently, CITES has listed the Asian Arowana as an endangered species. While it is legal in some countries to buy and sell captive bred Asian arowanas, in other countries such as the US, it is not. Arowana breeding is common in many Asian countries. Breeding usually takes place in large fish breeding pools or breeding ponds as arowanas will not reproduce in an aquarium. Arowana breeding can be very difficult for some species, which leads to higher prices for certain arowanas. 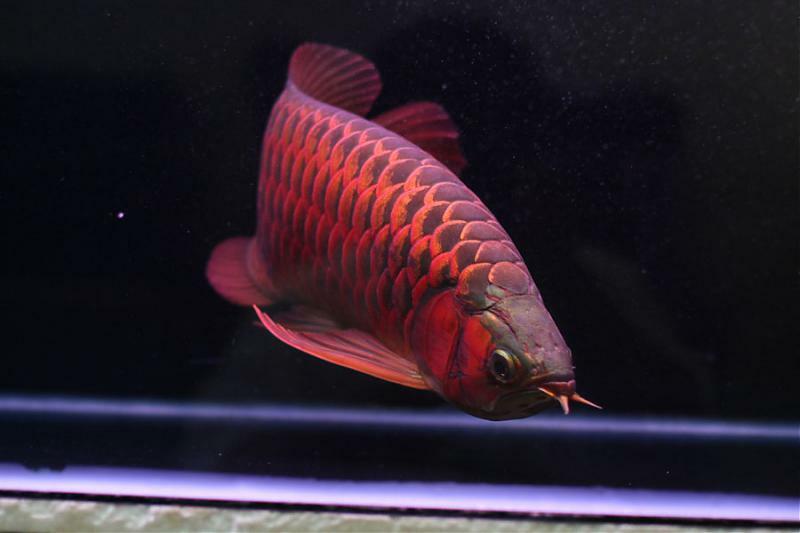 Other species of arowana are generally no problem to purchase, and cost less, yet can still be just as fulfilling pets and excellent aquarium fish. 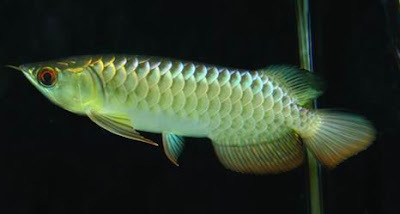 Arowana fish have different subclasses; silver arowana fish, red arowana fish, African arowana fish, Asian or golden arowana fish, northern arowana fish and black arowana are commonly known subclasses. These subclasses are defined on basis of their shape, style of fins, size and origin and habitat etc. Arowana fish vary in sizes. The smallest ones are between 24 to 30 inches (60-75 centimeters approx). Other healthier ones can reach up to 48 inches (120 centimeters). The size that the fish will become of will depend upon the living conditions and diet. If you want your arowana fish to grow larger and healthier, you should take good care of them. You should keep the Aquarium in a healthy state. The pH should be kept neutral. Water must be changed frequently. Temperature ranges need special attention. The recommended temperature range is between 75 to 86 Fahrenheit (24-30 Celsius). A good habitat ensures that your arowana fish will be healthy and live longer. Arowana fish are meat eaters. Typical diet for arowana fish includes brine shrimp, black worms and swine fish. Arowana fish are aggressive and cannot be friends with other fish. They have to kept alone in the aquarium. Recommended feeding frequencies vary for the different arowana fish according to age. Smaller fish should be fed up to three times a day, the medium ones twice. For grown ups, a diet frequency of once a day is good enough, albeit in a larger quantity. As mentioned already, arowana fish are meat lovers. They are aggressive and you cannot trust them with other fish in the aquarium. They stay closer to the surface of the water and may jump out. A covered aquarium is recommended. If they are provided a healthy habitat, they may stay with you up to 20 years. 1. If you buy a Arowana which the place of purchase away from his store, then do not directly enter directly in the aquarium arowana. Arowana Put together the plastic (the plastic should not be opened first) in your tank. This is to adapt Arowana after a long trip. 2. When I open the plastic wrap Arowana fish, do not force him out of the plastic. But let it come out by itself from the plastic. Just when the fish is out, you can take the plastic.This is so the Arowana can adapt itself to its new environment. 3. Do not give the rock or coral in the aquarium. Therefore, the corals can make Arowana fish scales scratched into sores. While stones can create difficulties when your Arowana feeding of small fish. Small fish can run and hide under stones. 4. Write a variety of food. Main menu arowana fish in the aquarium are centipedes. But, do not constantly be centipedes, should be varied with other foods. for example: shrimp, cockroaches, frogs, centipedes, lizards, and crickets. Cricket to provide nutrition to the Arowana. If Arowana is still small, take a cricket leg so as not to injure. Centipedes can give a red color brightness. And shrimp is also recommended because it provides protein for the Arowana. Success of the aquarium into a comfortable place for arowana fish, really influenced by the completeness of supporting facilities. If you already love arowana in the aquarium, diligent enough to care. Thus, the appearance of arowana in the aquarium look healthy, fresh, and fun. Every day is required to control water temperature and ph. The ideal water temperature for arowana fish around 25-27 degrees Celsius. If the temperature of cold water, immediately turn on the heater until the water temperature as needed. While the desired ph of about 6 to 8.5. Total running water is carried out every 3 months. if you use pam water, should be allowed 24 hours in advance for the content of chlorine to settle, and after that can be inserted into the aquarium.